Tonight’s episode of Love & Hip Hop Atlanta will be packed full of drama that you won’t want miss. Don’t forget to bookmark this spot and head over to our Love & Hip Hop recap tonight at 8 PM – 9 PM ET! 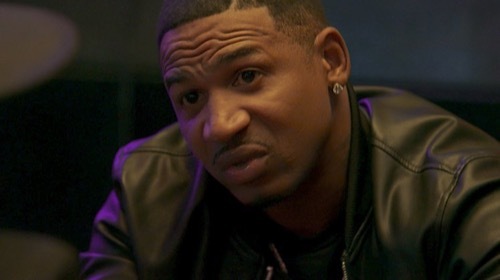 While you wait for our recap of Love & Hip Hop Atlanta Season 7 episode 5, don’t forget to check out all our L&HHH Atlanta recaps, spoilers, news & more! Tommie was introducing Tommie 2.0 on tonight’s all-new episode of “Love & Hip Hop: Atlanta” when she agreed to meet with Tiarra. It’s no secret that the two have never liked each other because of Scrappy, but things have changed with the man they were fighting over now in jail and Tommie said she wanted to be better. She agreed to meet with Tiarra because she wanted to move on from their past and so she had looked forward to finding out what Tiarra wanted to talk about. Except Tiarra had wanted to talk about Scrap. Scrappy was out getting out of jail and he claimed that he wanted to be a family with Tiarra and their son, so Tiarra had wanted to talk with Tommie to get Tommie feelings on the matter. She didn’t want to start things up again with Scrap if Tommie was going to remain in the picture and so tonight Tommie assured Tiarra that what she had with Scrap was done. Tommie hadn’t even known that Scrap was getting out of prison and she figured if he didn’t have the decency to give her any kind of forewarning then what they had was done. She told Tiarra to go ahead because she didn’t want to pursue Scrap yet Tiarra hadn’t been all that reassured by their conversation. She told Tommie “we’ll see” because she had still been a little distrustful of Tommie and she wasn’t the only one not buying into this new Tommie. Tommie had later confessed she hadn’t known what to feel about Scrap coming home and that she had wanted to talk to her friends, only her friends had asked her if she was really sure that her thing with Scrappy was over with. Both Joc and Tammy thought she was still interested in Scrap. Tommie though hadn’t been so sure. She felt like her sit-down with Tiarra had been Tiarra’s way of claiming Scrap was her property and had realized she hadn’t wanted to get caught up in all of that. She told her friends who turned out to be truly good friends that she wanted to work on her music. Tommie had two singles she felt really good about and couldn’t wait to go back into the studio. Yung Joc also said he’s been busy in the studio. He told the ladies that he hadn’t been fooling around with anyone in some time because he wanted to focus on his music and so the only time he had been working was when he was with the ladies or Stevie. Stevie had gotten all of his friends together because he had a big announcement. Stevie told everyone that he was meeting with his lawyer in New York because they were close to agreeing to a four months sentence. He hadn’t told anyone that he was going away and so him bringing them altogether was an impromptu going away party. Stevie had told them about this issue with child support and how he supposedly owed one-point-three million in back child support. He had thought that excessive because he never let his children go without and so this case became such a thing that now he had to come to an agreement with the feds. He agreed to spend four months in jail and unfortunately he’ll be missing out on spending time with his children. The older ones would understand what’s going while the younger ones would take his absence harder. Mimi had been at the impromptu goodbye party and she had been shocked by what Stevie shared. She later talked to him about their daughter Eva and she wanted to know what she was supposed to tell the little girl, but Stevie told her that he didn’t want Eva finding out he was going to jail. He told Mimi to tell their daughter that he was going to be away for a while on vacation because he thought Eva would be able to handle that and Stevie had also asked Mimi for a favor. He wanted her to manage all of his artists and that apparently included Brittany. Brittany hadn’t signed a contract with Stevie and she had been pretty glad she hadn’t when she found out he was going to jail, so it had come as a surprise to her when Stevie said she would have to go through Mimi for everything. Brittany hadn’t wanted Mimi to manage her and she especially didn’t like it when Stevie told her he would do as he said or he’d take her song from her. She was the one that wrote that song and she had definitely put her foot down when Stevie threatened to give her song to another artist. Brittany said Stevie couldn’t do that and also stated that she was entrusting her career to her friend Keely. Keely and Stevie didn’t know each other however Stevie decided to trust Keely and had asked Mimi to throw a showcase together with Keely’s help for all of his artists. He wanted this showcase in order to do right by his artists and he chose Mimi to handle all of his affairs because he knew he could trust her. Mimi hadn’t liked the idea of taking over and told Stevie that she would just be there for emotional support until he gets out, so she had put Stevie’s mind at rest. He was going to jail and wouldn’t have to worry about anything because he had entrusted everything to Mimi. Mimi was thankfully in a good place because she was happy in her relationship with Ty and that meant there wouldn’t be any distractions. She was focused and she was off getting involved in even more drama like Tommie. Tommie had had a falling out with her mother and sister and it had gotten so bad that she was starting to drink more. She loved going into the studio with Spice because he always made things fun and lately he had been talking about her working with another artists. And so the only standing in the way of a possibly dynamic duo was her drinking. Tommie turned to drinking when she’s stressed and she had been warned about that because drinking doesn’t necessarily make all of her problems go away. Tommie had said that everything was fine and she had sounded believable, except rumors were already floating around that she drank too much. Tommie’s career was slowly becoming at risk due to her drinking and she just wasn’t seeing it. Meanwhile, across town Karlie was finding out that her friend Dime was pregnant. Dime hadn’t wanted to say anything because she hadn’t wanted her business to be out on the street and so it was Dime’s man that accidentally spilled the news. He had been so excited about the sonogram that he sadly had to miss that he ended up blurting out everything. He even mentioned that Dime wasn’t speaking to her mother. Her mother and her had had a falling out and that had gotten in the way of Dime telling her mother about the baby, but Karlie realized now what with being so close to losing her father that she shouldn’t have let their estrangement last for too long and so she hadn’t wanted that for Dime. Dime was having a baby and the only person she had allowed into her bubble was her man. Not her mother and not any of her friends. So Karlie had been concerned for her and she had wanted to intervene. Karlie could be a really good friend to those she cares about and so she had been worried for Dime as well as Rasheeda. Rasheeda had found out the kid really was Kirk and she didn’t know what she do now. Rasheeda wasn’t sure if she wanted to work things out with Kirk or move her on and Karlie for one had wanted her to move on. Karlie thought Rasheeda’s trainer was hot and so she tried to fix those two up. She told the trainer who’s name was Donnell that Rasheeda had things she needed a man for at the store and he had actually gone out to the store to change light bulbs. The fact he was willing to do that had been pretty impressive and Rasheeda’s mother turned out to be a fan, so the only person that hadn’t liked seeing him had been Kelsie. Kelsie was Kirk’s daughter and she wanted Rasheeda to get back together with her father. She wanted that so bad that she was a little rude to Donnell and had tried to talk Rasheeda into kicking the guy out of her life because she wanted her stepmother and father to get back. And Rasheeda wasn’t sure about what she wanted. Rasheeda was confused and until she got everything sorted she wasn’t sure if she wanted to throw someone away when he could become part of her life. Kelsie hadn’t liked that and had pouted some. That was to be expected because she was still so young and therefore what hadn’t made sense was the fit Erica Mena threw when she found out she was going to be doing a showcase with Estelita (who she was cool with) and Brittany (who she hated)! Erica had started pushing people and had needed to be escorted away from everyone because she had been a little too prepared for a fight.